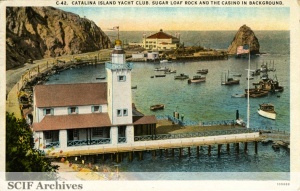 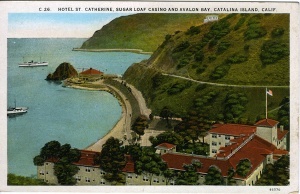 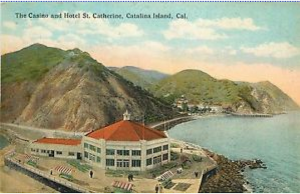 Sugar Loaf Casino #1, Santa Catalina Island, named for it's geographic location on Sugar Loaf Point, was built on the point after the destruction of the natural rock promontory accessed historically by a set of wooden stairs. 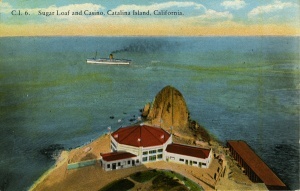 This first smaller casino (1918-1928), designed for William Wrigley, Jr., was too small to accommodate the island's growing visitation. 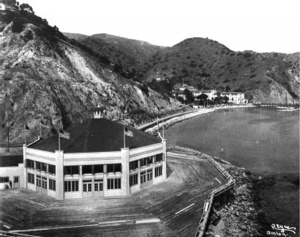 It was razed to make way for the large Sugar Loaf Casino, which opened on May 29, 1929. 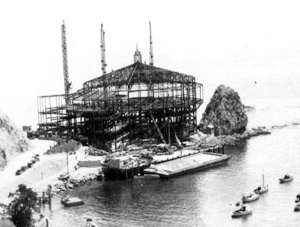 This page was last edited on 23 September 2015, at 17:09.